From May 28 through July 19, 2002, Lori Bookstein Fine Art will present Summer Selections, a group show comprised of seventeen artists represented by both painting and sculpture from 1939 to the present. The earliest work in the show is Aristodimos Kaldis’ 1939 Tunisian Still Life which was completed during the years Kaldis spent traveling regularly to Europe to see the work of Modern European masters such as Matisse, Kandinsky, and Klee. In 1941,he was given the distinction of becoming the first living American painter to be included in the Barnes Foundation Collection. 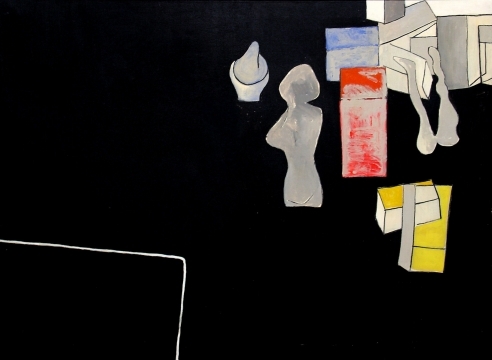 Still Life with Greek Head (1955) and Cosa Street III (1978), both painted by Robert DeNiro,Sr., reflect signatures of a Hans Hofmann School of Art training - ethereal color, abstract shape, and loose lines. These stylistic attributes are also seen in the works of four other Hofmann students on display: Anne Tabachnick, Paul Resika, Jane Freilicher, and Jan Müller. Anne Tabachnick’s painting within a painting, Pink and Green Screendoor, focuses on Tabachnick’s own version of Bonnard’s White Interior (1932). 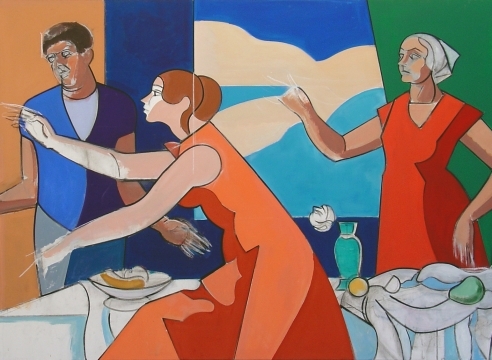 Tabachnick revisited many art historical themes, which came of her passion for the masters. She employed art history as a departure point, giving voice to both a visual and intellectual connection to the past, while simultaniously springing forward. 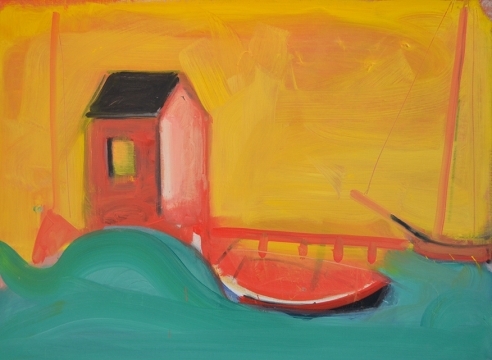 Paul Resika, also a figurative Second Generation New York School Painter, is represented by Provincetown Pier (Little Orange), and perfectly exemplifies the use of luminous color, and solitary subjects that Resika is so well-known for. 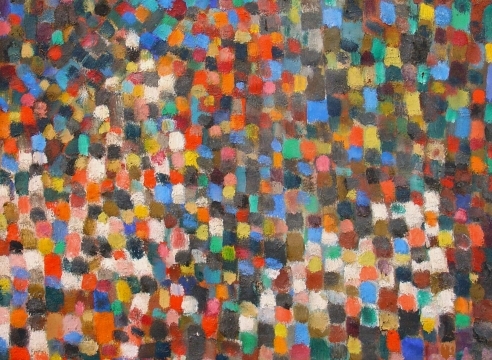 Jane Freilicher’s Blue and Orange Landscape is from her short but important abstract period (late 1950’s-early 1960’s). With Hans Hofmann, Jan Müller learned the intrinsic and dynamic quality of color and that color and form are sufficient unto themselves. Keeping this in mind upon leaving the Hofmann school, Muller returned to the fiugre, and the allegorical, but managed to keep close all that he had learnded held these ideas In Landscapes I and II, Muller is true to form, using bold blocks of color to create an impressive landscape scene. Jolie Stahl’s watercolor and collage Untitled (Woman) is “an assemblage of color, light and humor in its blend of contradictory ideas and a topsy-turvy juxtaposition of both and natural forms and cultural icons. 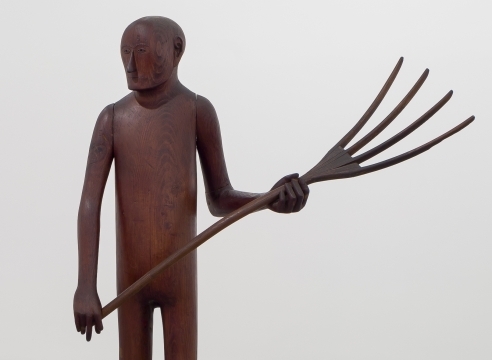 Known primarily as a painter, Irving Kriesberg has been producing sculptures since the 1970s. Prowling Cat exemplifies his use of ancient foundations mixed with a modern flair. 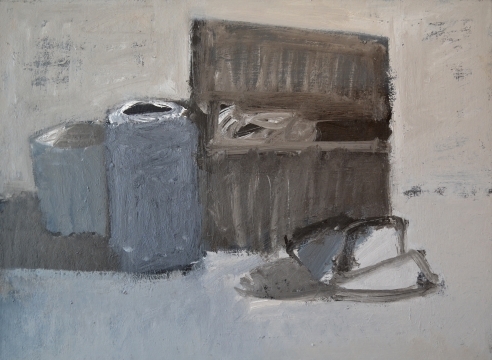 The works in the show most recently completely are those of Ken Kewley. In his work, “American collage...return to it’s European precursors and stands them on their heads...He has developed a remarkable synthesis of historical insight and pure esthetic pleasure.” Kewley uses the collage as a reference to the language of painting; the works in this show are titled Odalisque (After Matisse), and Young Italian Woman with Distaff (After Corot).